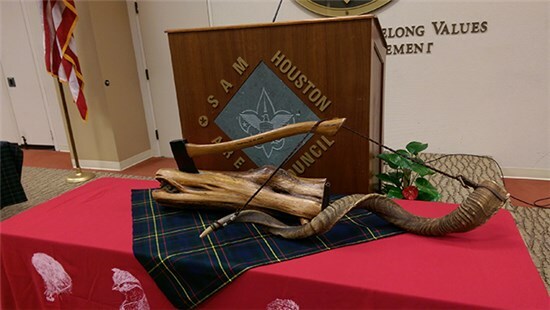 Scouters who have attended or staffed a Wood Badge course, or staffed National Youth Leadership Training (NYLT) are invited to attend the Baden Powell Fellowship Dinner. During the evening, attendees from the previous year share memories of their leadership training experience through slide shows, stories and regalia presentations. Scouters will be given an opportunity to contribute to the Leadership Training Scholarship Fund, which provides financial assistance to Scouts and Scouters attending council leadership training courses. The dress is field uniform or business casual. The dinner is $20 per person. Registration is open until February 21, 2019. There is no onsite registration. Partial-fee scholarships are available for Scouts and Scouters to help offset the course fees (up to 50%) for National Youth Leadership Training (NYLT) and Wood Badge. Gifts to the leadership training scholarship enable Scouts and Scouters to receive leadership training so they can in turn help develop character, citizenship, and fitness in lives of hundreds of young people. Scholarships for Scouts and Scouters who are currently unable to attend training because of financial circumstances are only available because of the generous donations from people like you. One hundred percent of the funds collected through this scholarship go into the scholarship fund. The scholarships are granted based on need. 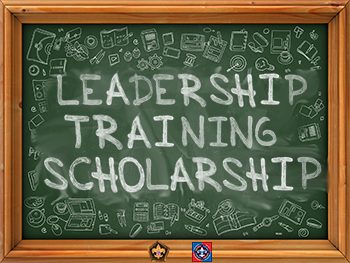 Applications for scholarships can be found at National Youth Leadership Training (NYLT) and Wood Badge.